This coming Tuesday the big unveiling of Apple's next generation iPhone will take place. But Pioneer NEX head unit customers are hoping for news about the long-awaited CarPlay firmware update on that day. Summer is almost over and the promised update is no where in sight. Whatever the reason for the delay may be, what happens if (as rumor has it), the CarPlay firmware update for Pioneer NEX receivers doesn't become available until 2015? 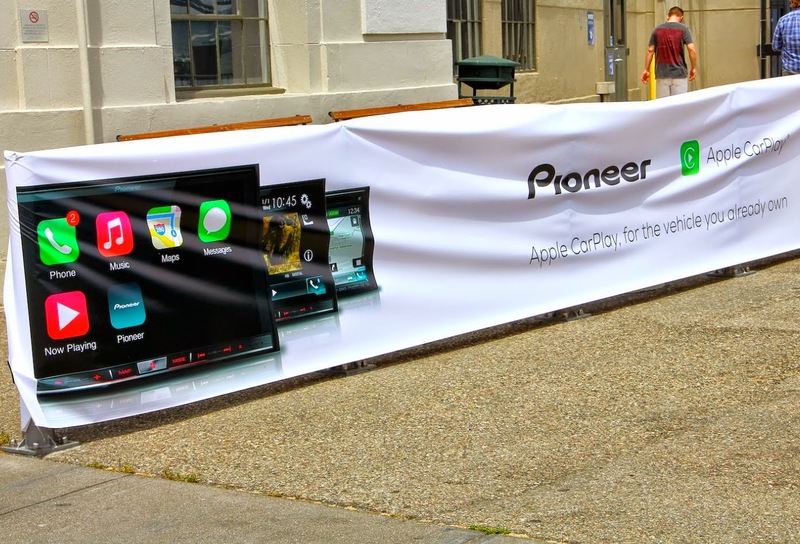 Does Pioneer owe its customers an explanation for the 'false advertising' of sorts? Pioneer has had their fingers pointed at Apple for the delay saying the Cupertino company has not given them the green light to release the update yet. The update looked ready, when we saw it at Pioneer's media event in San Francisco in May (even though those may have been beta versions). From the limited demo time we had it looked like it was ready for primetime. Every NEX customer will tell you that an explanation is long overdue. To be honest there has been no transparency from Pioneer at all regarding the issue. If Apple is indeed the reason for the delay, why not make an official statement to appease the customers? We know Apple won't come out and admit something is wrong with their product in development. If CarPlay has issues that need ironing out, or if improvements are being tested (like making it work wirelessly), the firmware update may not see the light of day until Apple thinks it is fully ready. Pioneer may have jumped the gun in marketing its NEX receivers with the promise of an early summer release of CarPlay. That was changed to 'coming this summer' eventually. Now with two weeks of summer to go, will the tagline be changed to 'coming this fall' if Apple can't deliver the update in time? In my opinion, Pioneer needs to come out and make an official announcement to its customers as to what exactly is going on. One of our readers recently wrote to me saying, "I paid Pioneer for the NEX receiver hoping CarPlay would be available this summer. I didn't pay Apple. So for me, I can only look to Pioneer for answers." Makes complete sense to me. On the bright side (if there is one), Pioneer NEX customers can at least boast about owning CarPlay-ready devices and will be able to update the firmware the day it's released. Even without CarPlay, NEX receivers have plenty of robust features which make them some of the most desirable devices across the aftermarket. But many customers have purchased these head units with CarPlay in mind. Car companies like Mercedes-Benz and Volvo have already made statements saying their CarPlay delivery will be delayed until 2015. I'm sure Apple is in touch with its partners regarding the matter, and aftermarket partners (Pioneer and Alpine) have surely not been left out of the conversation. Even if the fine print says CarPlay availability depends entirely on Apple, as a courtesy, we all need to know from Pioneer why the delay. Or at least a more realistic ETA and not an entire weather season or year. Let's keep our fingers crossed and hope for some good news come September 9.
Who cares about the small print.... I smell class action if they don't get their crap together. They advertised it as available early summer and lied, now its late summer... the point is Pioneer advertised it.... You don't put in fine print that everything we advertised is a lie and therefore have no responsibility.